MANILA—Chief Justice Maria Lourdes Sereno has never met her accuser, lawyer Lorenzo Gadon. The chief magistrate bared this in an interview with ABS-CBN's "The Bottomline" broadcast on Saturday. "I haven't seen him at all," she said. Sereno explained her puzzlement as to how Gadon could say he has personal knowledge of his allegations against her when he was not involved. "We don't have a ghost in the conference room," she said. "Anong itatama niya eh wala nga siya?" 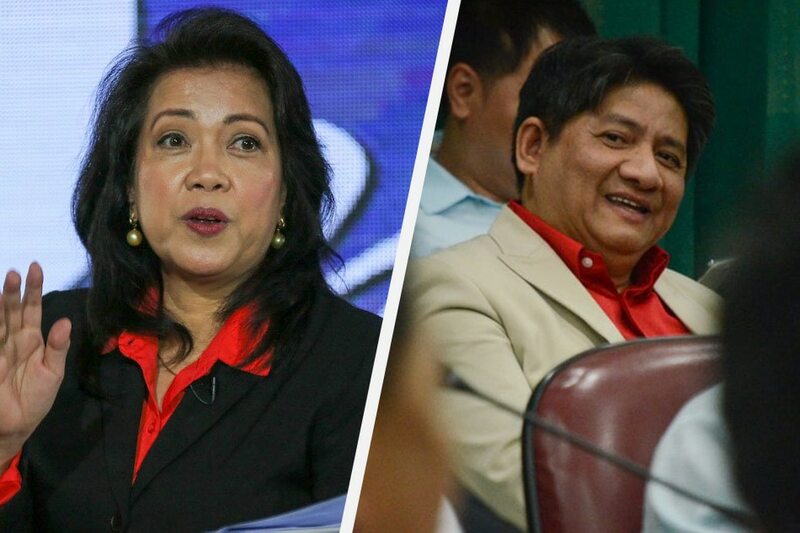 Gadon has lodged an impeachment complaint against Sereno at the House of Representatives on allegations that she misdeclared her wealth and has an extravagant lifestyle. In one of the impeachment hearings of the House justice committee, Gadon admitted that one of his allegations against the chief magistrate was not based on either personal knowledge or authentic documents. Gadon alleged that Sereno tampered with a draft temporary restraining order (TRO) written by Associate Justice Teresita de Castro, and that she released a TRO that was "substantially" different from what De Castro had written. He later went on to admit that he based his allegation on a news report. At one point during the interview, a student asked Sereno to think of what she would say to Gadon if they crossed paths. "Sobra naman atang importante para pag-isipan ko pa 'yan. Hindi na," she said with a laugh. On Gadon's threat to Sereno to resign, the chief justice merely responded: "Napag-isipan niya kaya 'yung sinabi niya?" The chief magistrate also maintained that Gadon's allegations are not true and unworthy of belief. "I think you shouldn't believe because they are not true," she said. "You don't know the odds and the odds are probably against me but you fight."